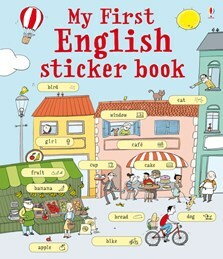 A colourful sticker book to help children learn over 200 useful English words. Children will love matching the word stickers to the pictures. All the words are listed at the back of the book and you can hear them read by a native speaker on the Usborne Quicklinks Website.